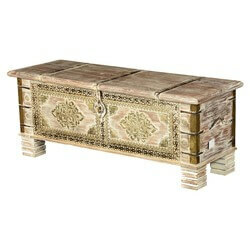 Who says you must have a conventional coffee table for your living rooms to feel complete? 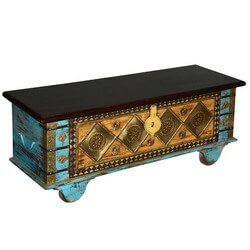 Our Brass Accent Turquoise Storage Trunk Coffee Table allows you to be unique and stylistic with this aspect at the same time! 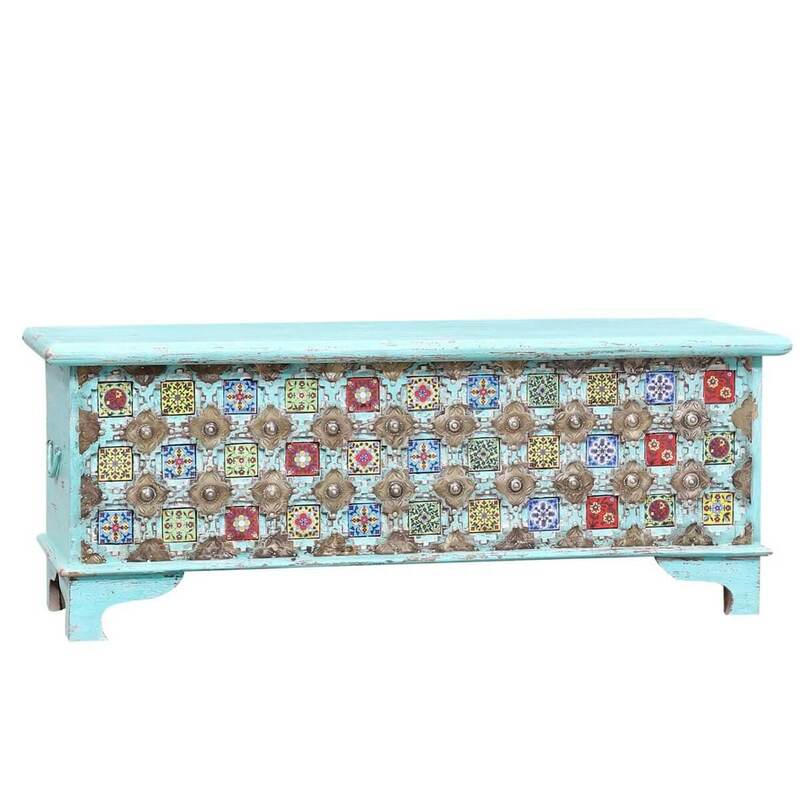 It features a highly eclectic design that is equal parts interesting and distinguished. 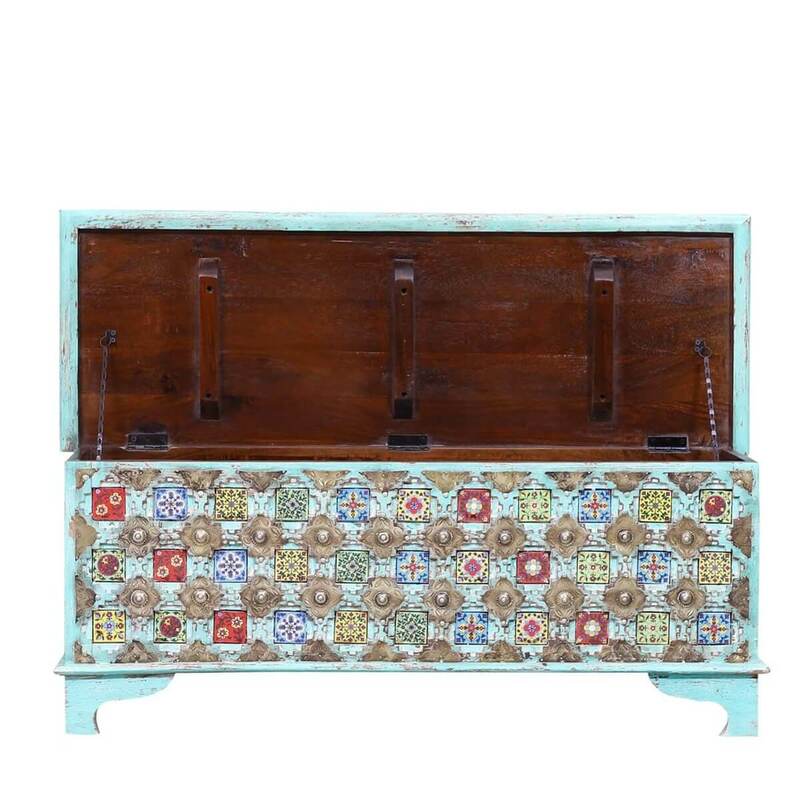 Its powder-blue hand-rubbed distressed finish is as much part of its designing as the storage. 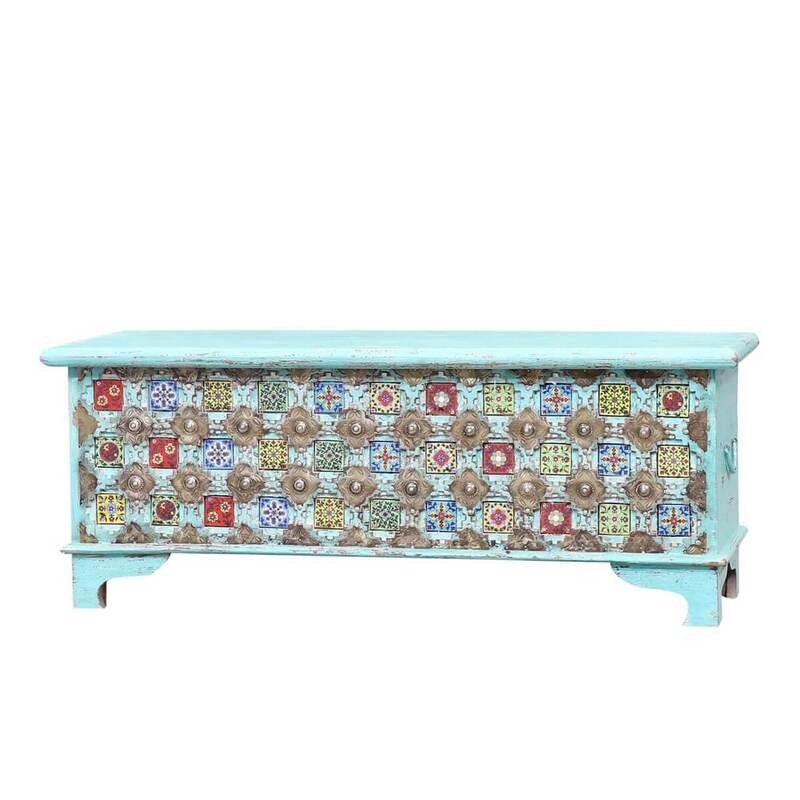 It is also handcrafted from sustainably sourced reclaimed wood, so you'll enjoy the added bonus of eco-friendliness as well as an excellent heirloom quality that's characteristic of all solid wood products. The top of this storage coffee table is smooth and uninterrupted. It is also extended and beveled at the edges. It can be pulled up to reveal a full-sized storage compartment - complete with chain suspenders to keep it from falling off. 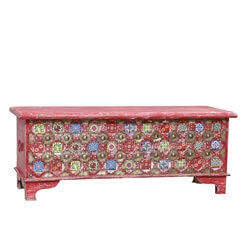 The main facade of the multifaceted furniture piece comprises of a multicolor mosaic of decorative embellishments topped with metal ornamentation. 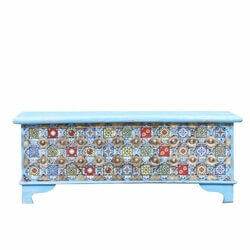 The stylistic corbel-style feet complement the whole design perfectly. 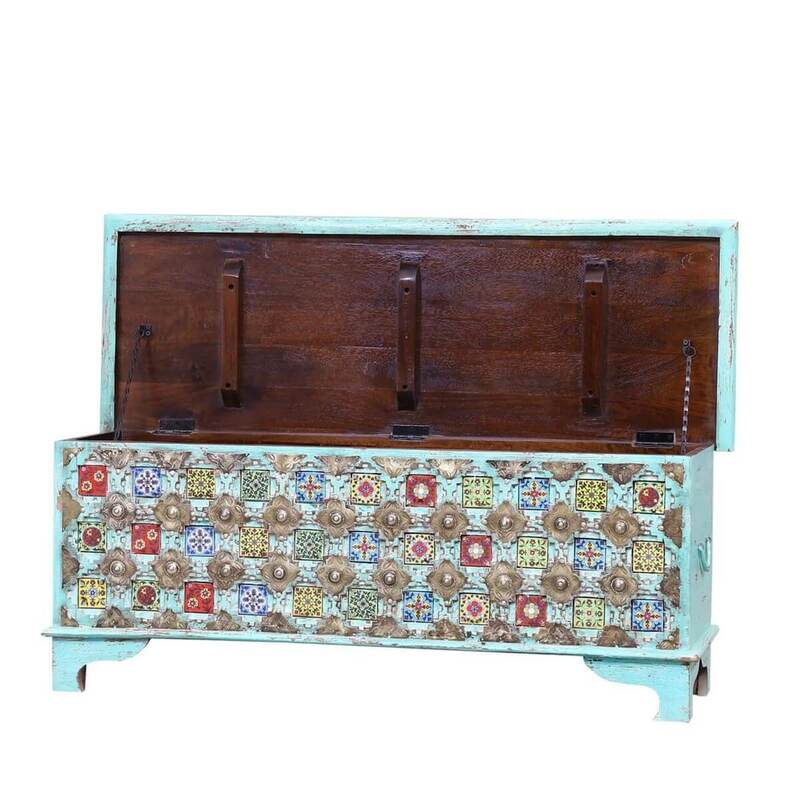 There are even slim handles on the sides to ensure easy carriage.